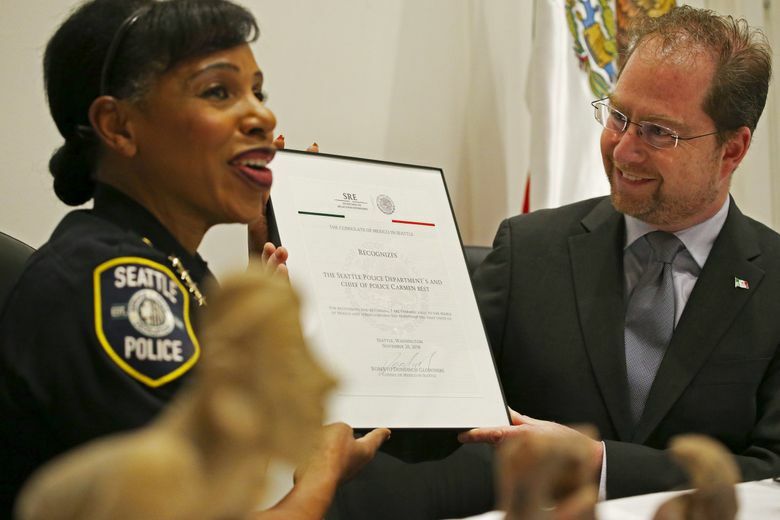 The Seattle Police Department has returned to the Mexican government seven artifacts nearly sold off at a Capitol Hill estate sale last year. 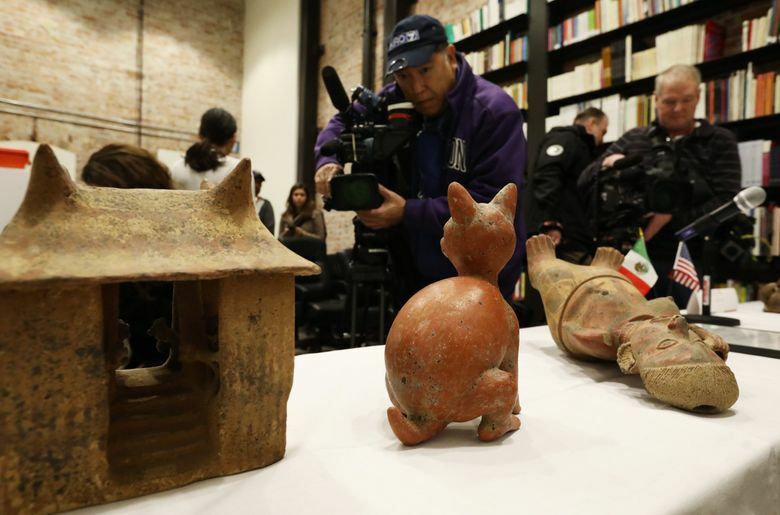 The figures, some of which may be more than 2,000 years old, were given back at a ceremony in Seattle’s Mexican Consulate Tuesday. Head Consul Roberto Dondisch said the artifacts will be sent back to Mexico’s National Institute of Anthropology and History, where they will be examined, cleaned and possibly displayed in a museum. According to the consulate, the seven artifacts, most of which are figures of people or animals, are made primarily of mud and clay, date back to the period between 300 B.C. and 600 A.C. and come from areas of western Mexico along the Pacific Coast. Consulate officials and Seattle police said it was the first time they knew of such a repatriation. 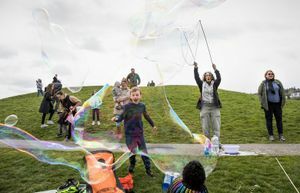 The objects’ return began a year ago when a tipster called Seattle police. Caitlin Mosher, who studied museology in college, was browsing an estate-sale website last November when she noticed the items advertised as “folk art.” She recognized them as a type of artifact included on a list compiled by the International Council of Museums of objects that may be subject to theft or trafficking. So she set about trying to reach local and national law enforcement. The next day, Mosher accompanied the police to the sale, where they packed up the items. This week, she learned they would be returned to Mexico. The Police Department said the objects were part of a personal collection. The sellers were not charged with a crime. 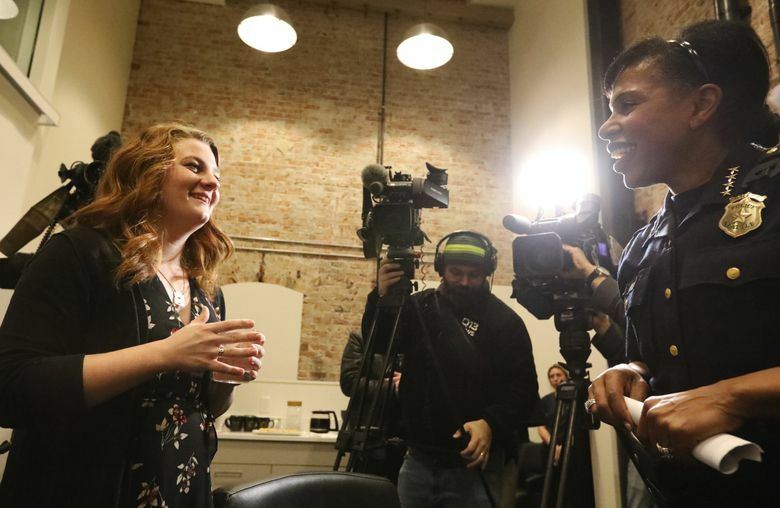 “It seems like they might not have known what they had,” said Tracy Clayton, a strategic adviser at the department. Police took 17 items from the sale and consulted with Mexican officials and anthropologists to determine that seven were pre-Hispanic artifacts. Police did not provide an estimated financial value of the items. Figures like those repatriated Tuesday were commonly kept in homes and temples and often placed into tombs with the dead, said Christopher Beekman, associate professor at the University of Colorado Denver’s Department of Anthropology, who has identified artifacts for the Department of Homeland Security and the Canadian government. 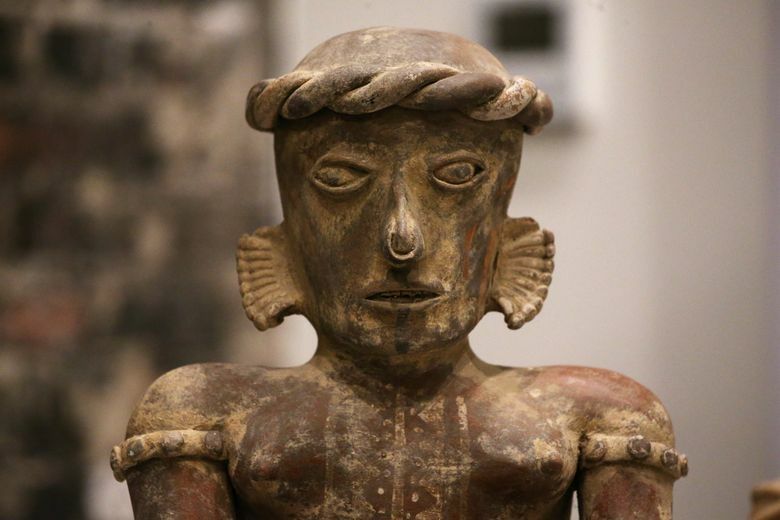 While it has long been illegal to take such artifacts out of Mexico, the United States has not always had corresponding laws making it illegal to bring them into the U.S., resulting in collections of the figures on display in museums and galleries today, Beekman said. High demand in the United States for Mexican artifacts, particularly from the 1940s to 1980s, led to the looting of many archaeological sites and left archaeologists lacking important context for the societies where items like the figures were used.